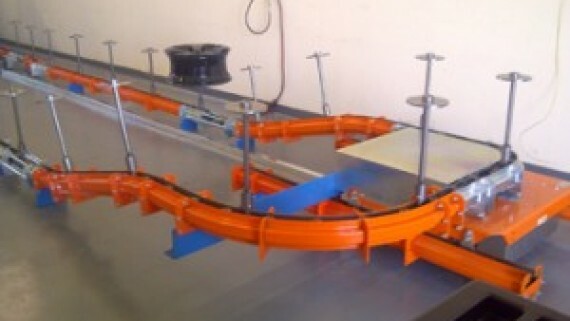 911 SBD have worked on several successful cars in both the GT and Carrera cup, their dedicated staff specialise in the restoration and repair of all models of Porsche. 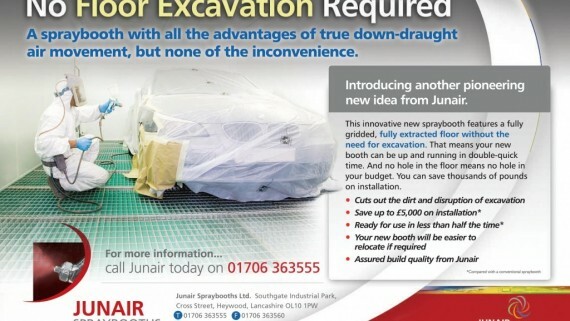 Priding themselves on quality and ensuring that their garage is equipped with all the latest technology, 911 SBD turned to Junair to kit out their latest venture. 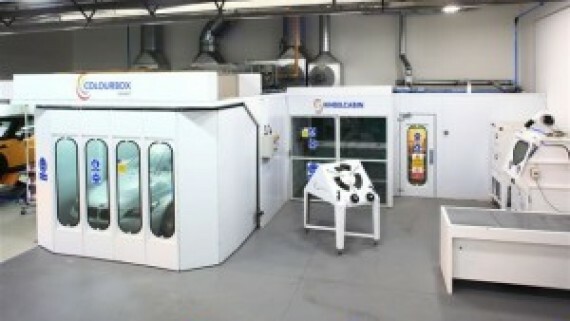 The 3 Series spray booth has been fitted with a LEVAC floor meaning no excavation work was required. 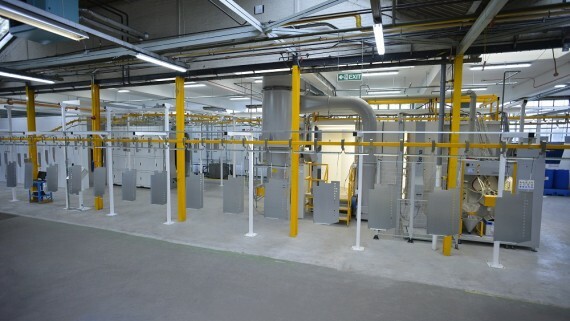 The LEVAC floor sits on the floor of the workshop and raises the spraybooth by 140mm enabling the booth to be fully downdraught in operation. 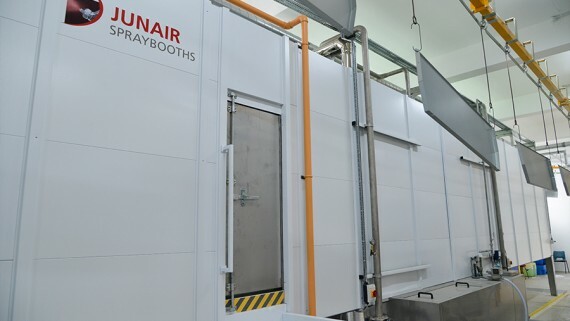 The spraybooth is accessed via a shallow, unobtrusive ramp. 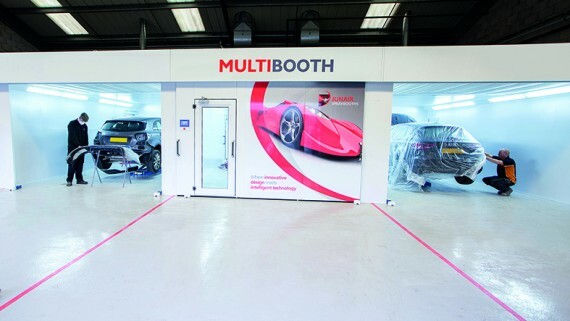 A down draught booth offers superior extraction allowing for a better quality paint finish. 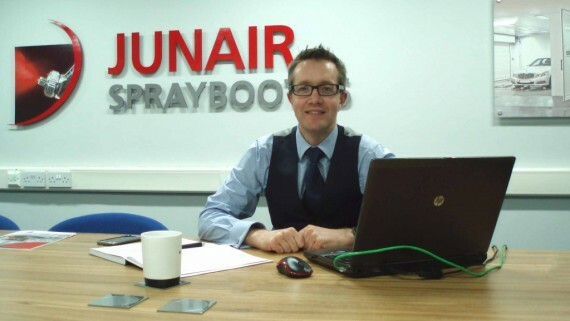 The air within the booth is drawn downwards towards the floor, efficiently removing any overspray. 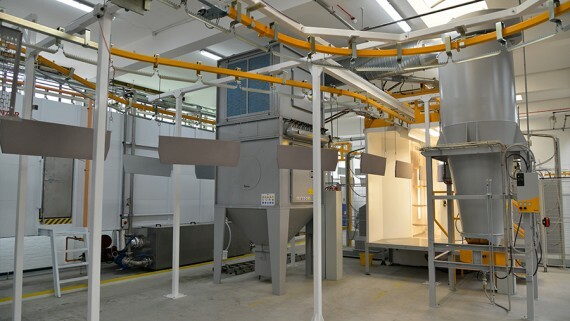 Find out more information on the Series 3 Spraybooth. 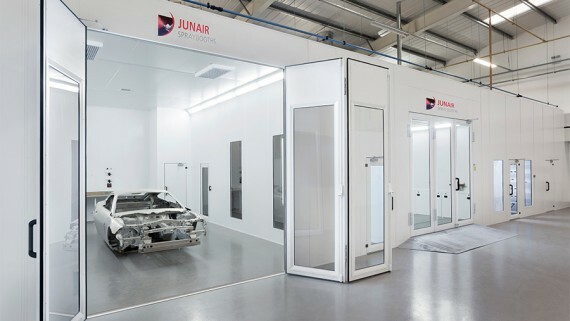 The 3 series has been fitted with Junair patented QADs, an auxiliary air movement system which agitates the air from the corners of the booth, significantly improving the drying time and also considerably increasing the energy efficiency of the booth. 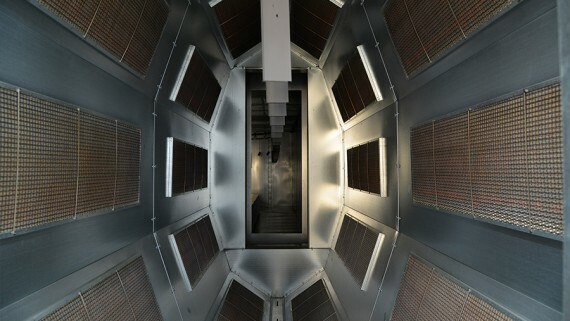 The spraybooth boasts LED lighting, the most energy efficient method of illumination. 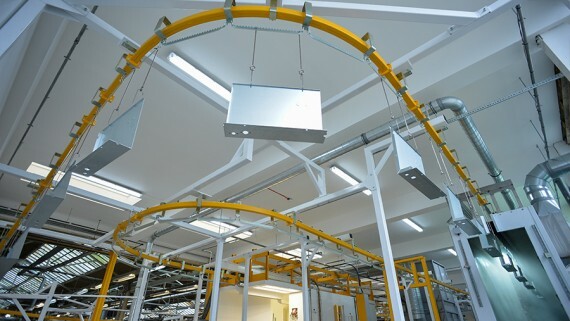 The LED lighting offers a crisp, clear light with no compromise in LUX levels for a more accurate colour rendition. 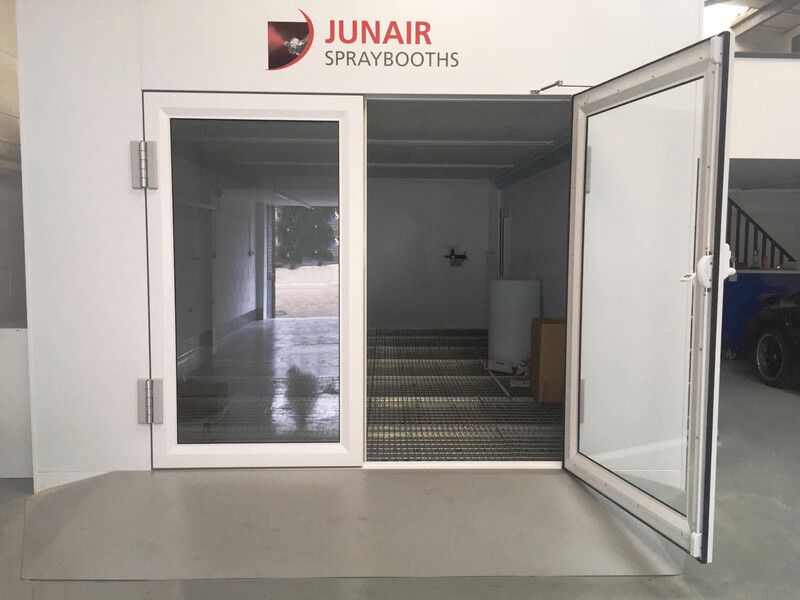 In order to maximise the space in the new bodyshop, Junair mounted the air handling plant on the roof of the spraybooth, ensuring the booth itself took up as little floor space as possible. 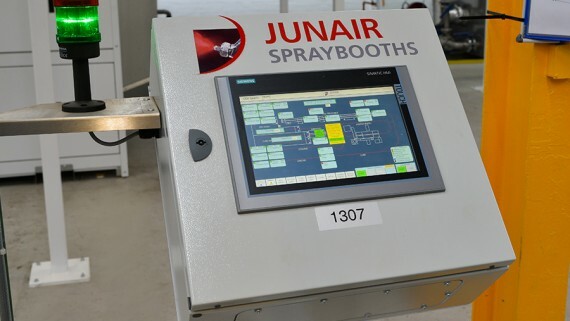 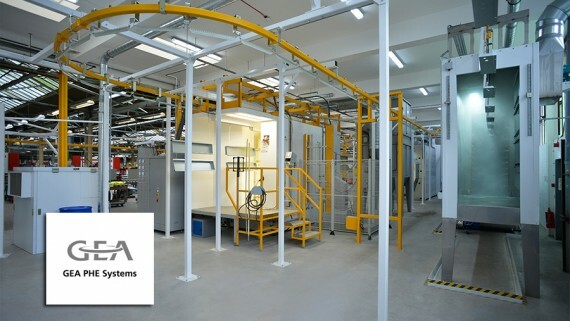 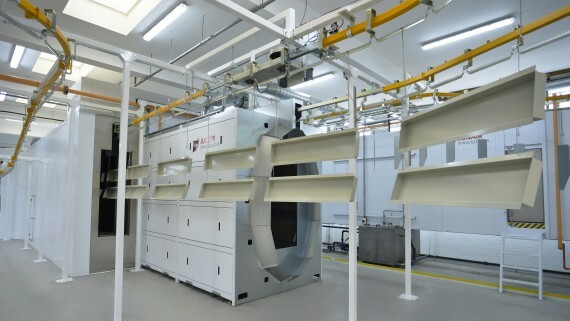 For more information on Junair Spraybooths and their paint finishing equipment visit our website dedicated to Spray booths.